New Meets Nature: Can Modern Engineering Preserve the Natural World? The further we race into the future, the more distant we travel from the past. Future and past are at opposing ends of an ever-lengthening spectrum – and sometimes it feels like humanity’s innovations threaten the natural world. Yet thinking intelligently in the present can enable the new world and the natural world to co-exist harmoniously – and even benefit one another. What can you say about Stonehenge? It’s one of the most famous World Heritage Sites on the planet. A place of mystic beauty that’s a quintessential part of British heritage; an attraction that draws around 1.3 million visitors per year. The problem is there’s a hulking great A-road running beside it. They call it the A303 and it’s notorious for heavy congestion and long tailbacks. That kind of spoils the ambience of a site that dates back to around 3100 BC. Good news. Back in September 2017 the Secretary of State for Transport announced the preferred route for the A303 past Stonehenge. The plans include a 1.8 mile dual-carriageway tunnel beneath part of the hallowed World Heritage Site. The aim is to return Stonehenge to a more pastoral place, where heritage lovers can stroll through the mysteries of history in peace. No doubt the sound of birdsong is preferable to the baying rumble of chuntering road traffic. Depending on the outcome of a public consultation in early 2018, construction of the tunnel is due to start in 2021. 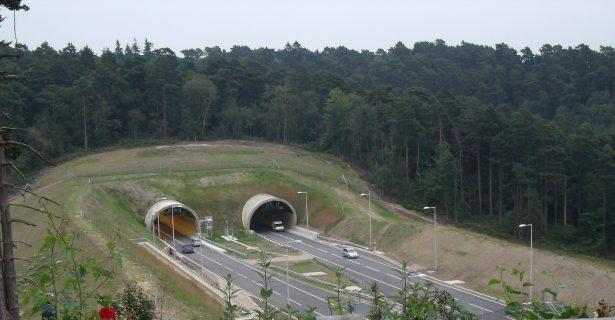 It brings to mind the Hindhead Tunnel project in Surrey that opened in 2011. Formerly, the A3 skirted the edge of the Devil’s Punch Bowl, a Site of Special Scientific Interest and one of Surrey’s most beautiful scenic spots. The construction of an underground tunnel reunited the rim of the Devil’s Punch Bowl with Hindhead Common for the first time in nearly 200 years. With the land reclaimed, dog walkers and countryside-lovers now ramble along grassy banks where traffic once raced. Roughly half of the world’s population lives in an urban environment. Why aren’t we doing more to make that experience less like living in a concrete jungle? That was the question on the minds of the Singapore government when they formulated the plans for Gardens by the Bay, a 250-acre nature park with more than one million plants. The government’s aim was to transform Singapore from a garden city to a city in a garden, raising quality of life by enhancing greenery and flora. They succeeded. 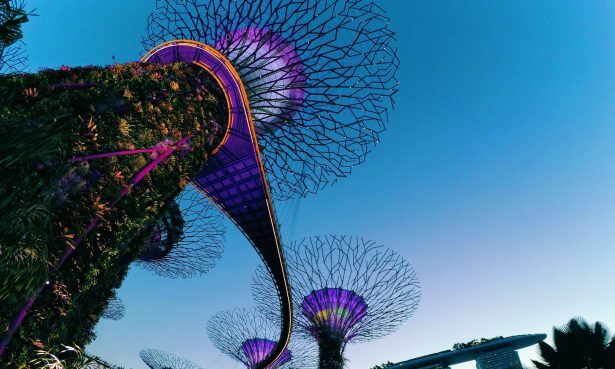 Over 6 million visitors per year flock to ogle at the floral delights on offer, the centerpiece of which are a cluster of man-made Supertrees that tower 25-50m into the sky. These man-made tree-like structures contain roughly 300 different species of creepers and climbers that will spread across the (currently naked) branches to create an astounding visual spectacle. The trees are also fitted with environmental technologies that mimic the ecological function of trees. That means photovoltaic cells that harness solar energy to power dazzlingly vibrant nocturnal lighting, and rainwater collection that’s used for irrigation and fountain displays. As well as more than one million plants, Gardens by the Bay is home to a busy carnival of wildlife, including birds that happily nest among the branches. It redefines how urban environments interact with the natural world; a luminous example of how cities can engineer an environment that’s more conducive to nature. The average street tree lives for less than 20 years in American cities. Trees simply don’t have the opportunity to grow big enough to provide proper ecological benefits. That’s a problem, because it takes more than a few saplings to mop up the messy air of big cities. 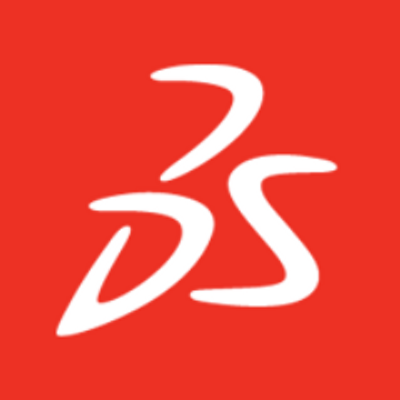 Now a team of industrial designers and engineers based in San Francisco is getting to the root of the issue. The built environment is super busy beneath the surface – not least with building foundations. Deeproot has created (and patented) unique Silva Cells, a post-and-beam system that transfers the load of urban infrastructure to deeper soil. That allows roots to sprawl and promotes the growth of large, happy, healthy trees. There’s a lot to love about that – including enhanced air quality, a defence against the effects of flash flooding and a built environment that’s far easier on the eye. Thinking about tomorrow doesn’t have to come at the cost of the past. Come at it from the right angle and it’s possible to create technological innovations that tackle today’s challenges, in a way that helps to preserve the past and form stronger links with the natural world.